Located in a park setting, Hugh Garner Housing Co-op offers the benefits of vibrant downtown city living and the advantages of a small-town neighbourhood. A housing co-operative, Hugh Garner Co-op provides quality affordable accommodation to its members in spacious 1-, 2-, 3- and 4-bedroom apartments. 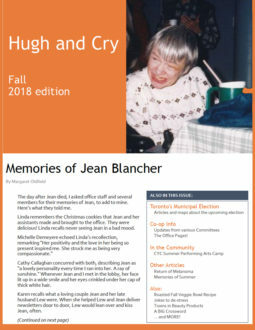 For 35 years, Hugh Garner Co-op has meant ”home” to young adults starting careers, older persons planning retirement, and parents needing a secure environment for their children. Amenities include the Garden Room, Party Room, Children’s Play/Computer Room, Card-operated laundry, a Rogers’s cable package, Underground parking, Bike lock up, and a Green Roof Terrace. Steps from neighbourhood shopping, and minutes from the sophistication of Bloor/Cumberland and the urban beat of Young & Dundas, the Co-op is well served by TTC, with buses on Wellesley, Sherbourne and Parliament, the College streetcar, and subway connections on both the Bloor and Yonge lines. Click the Logo for its backstory! Once your application is received, the Co-operative will review it. A credit and landlord check with be conducted and reviewed. The Membership Committee will interview your household members and make a recommendation to the Board of Directors. 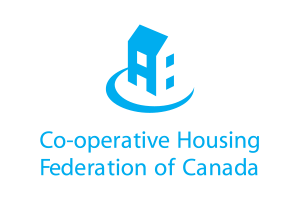 Get all the details about Hugh Garner Co-op’s monthly housing charges and fees for our various units. Also for your convenience you can both review and download the floor plans for the co-op’s various housing units. The South Green Roof of Hugh Garner Co-op is over 8,000 square feet (that’s 743 square meters). Our Green Roof provides environmentally friendly green space for various wildlife species such as birds and butterflies. Check out our photo gallery. from a Wendat word meaning “great lake.” The province as it is currently mapped is home to over 130 First Nations.